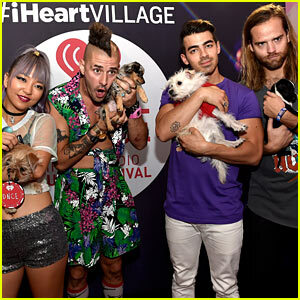 2016 iHeartRadio Music Festival Photos, News, and Videos | Just Jared Jr.
Joe Jonas holds on to an adorable furry friend while backstage at the 2016 Daytime Village during the iHeartRadio Music Festival on Saturday (September 24) in Las Vegas. 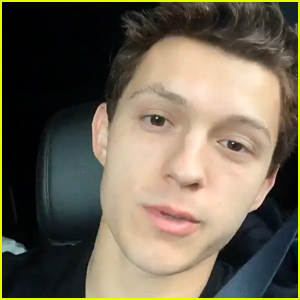 The 27-year-old singer and his band mates – Cole Whittle, JinJoo Lee, and Jack Lawless � were named “Best Dressed” at the event by On Air with Ryan Seacrest. The band took the stage for some high-energy performances, including “Toothbrush” and “Cake By The Ocean,” that got the whole audience pumped up. DNCE will release their highly anticipated self-titled album, DNCE, on November 18. Lea Michele & Taylor Lautner Party at iHeartRadio Music Festival! Lea Michele strikes a pose for the cameras while arriving on the red carpet at the 2016 iHeartRadio Music Festival on Saturday (September 24) in Las Vegas. The 30-year-old Scream Queens actress rocked a chic silver and black mini-dress while hitting the red carpet. Also on the red carpet were Lea‘s Scream Queens co-stars, Taylor Lautner and John Stamos. The guys posed for pictures together before heading into the event. Ariana Grande lights up the stage at the iHeartRadio Music Festival on Saturday (September 24) in Las Vegas. The 23-year-old “Into You” singer set off fireworks on stage for her set, while Zedd hopped in and played the drums with her band. Later on, Zedd performed his own show, truly lighting up the arena after Hailee Steinfeld took the stage for her second set of the day. Earlier, she played the Daytime Village. Sabrina Carpenter poses for pics backstage at the 2016 Daytime Village during the iHeartRadio Music Festival on Saturday (September 24) in Las Vegas. The 17-year-old “On Purpose” singer and actress joined Bea Miller, who went retro with a cool shirt with bell sleeves. Before hitting the stage to introduce one of the performers, Sabrina and Bea were seen backstage melting over the adorable puppies! “Now that’s a tribute. Thank you for honoring Christina Grimmie so beautifully. 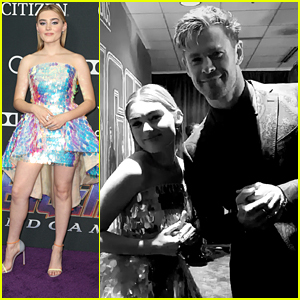 @iHeartRadio,” Sabrina wrote in the response to the touching Christina Grimmie tribute they put together. FYI: Bea is wearing Steve Madden stilletos. Sabrina is wearing a Cinq � Sept top and Aritzia pants. Daya gets the crowd going during her performance at the 2016 Daytime Village during the iHeartRadio Music Festival on Saturday (September 24) in Las Vegas. The 17-year-old “Sit Still Look Pretty” singer shared the stage with “Here” singer Alessia Cara before she returned to sing “Don’t Let Me Down” with The Chainsmokers later in the day. “thank u @iHeartRadio music festival for letting us play u some tuuuunes,” Alessia later tweeted with a pic of the massive crowd. FYI: Daya is wearing a Jen Awad outfit with Creative Recreation shoes.